BBC political editor Laura Kuenssberg was tonight named Journalist of the Year at the Press Gazette British Journalism Awards, sponsored by Heineken. 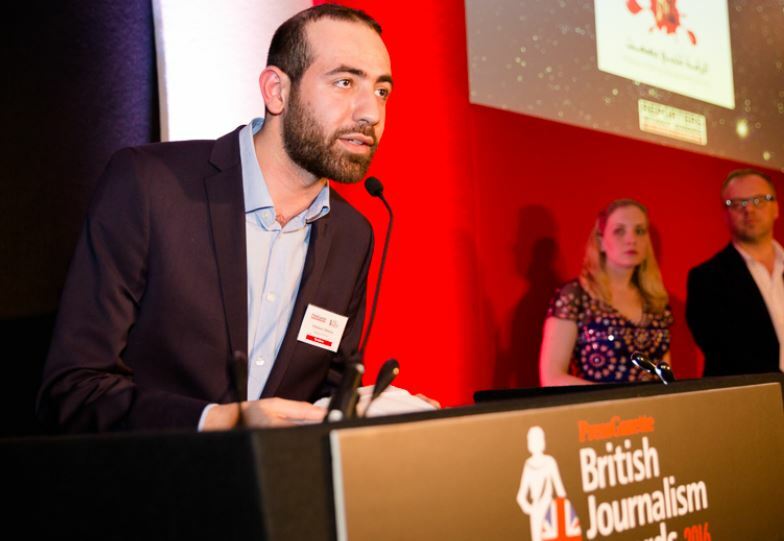 One of the founders of the site, Abdalaziz Alhamza, travelled to London to pick up the award and received a standing ovation from the assembled journalists. The Guardian and BBC Panorama (teams pictured below) were both named winners of Investigation of the Year for their work on the Panama Papers scandal. The prize for foreign journalism went to Channel 4’s Waad Al-Kateab who is currently trapped in the Syrian city of Aleppo. The judges said: “Her sensitive, visceral reports from Aleppo showed immense bravery. 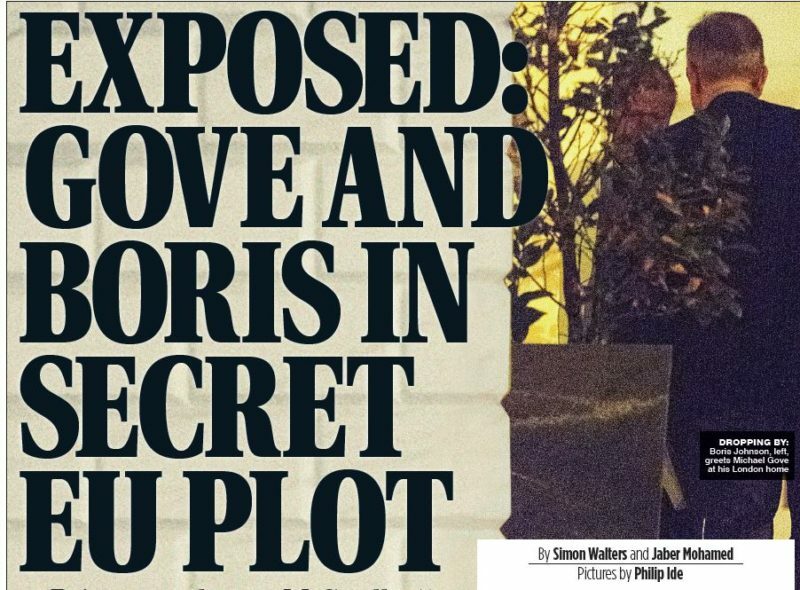 Press Gazette editor Dominic Ponsford, said: “As an industry we face a constant fight for survival – attacked by everyone from Google and Facebook (taking our ads) to the police who have been jailing our sources and spying on our phone records. “The work on display helps explain why what we do is important – and why it should be cherished and encouraged. 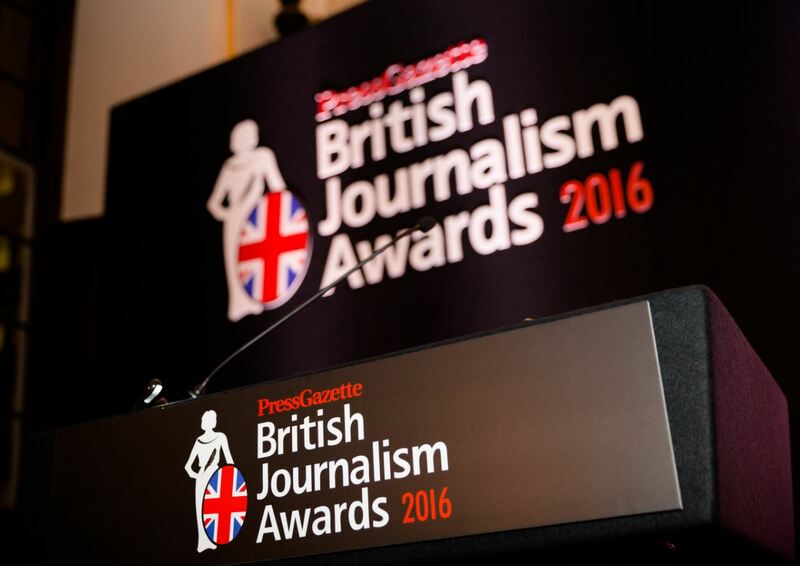 Pictures of all the British Journalism Awards winners are available here and can be used for publication (credit: Press Gazette). The Times, Rachel Sylvester, for: Being a mother gives me edge on May—Leadsom, As Labour splits, a new party is emerging and Gove picks cabinet fight over deal with Saudis. 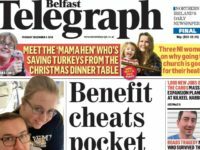 Channel 4 News – FactCheck, Patrick Worrall, Georgia Graham and Kieron Bryan, for: Does the EU really cost £350m a week? Express goes bananas over the EU and Will prices rise if we leave the EU? Daily Mail, Sean Poulter, for: Ban the toxic beads now. Raqqa is Being Slaughtered Silently. Ha laura kuenssberg the easily the most bias reporter on television,press gazette you have lost all pretence of credibility just like the bbc. So how on earth did the very biased Laura Kuenssberg win the award for Journalist of the Year? A year in which she has done a great disservice to journalism and brought the profession into disrepute?